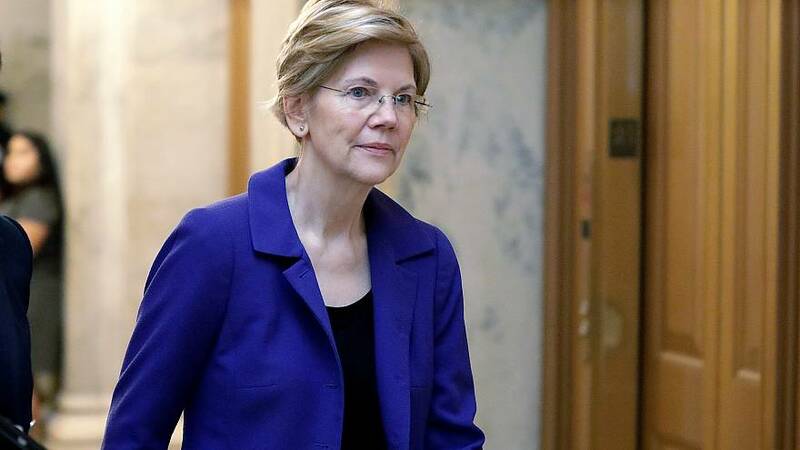 Sen. Elizabeth Warren is working on a plan to slap a 2 percent annual tax on households with over $50 million in assets, according to an economist who reviewed the proposal — the first among 2020 presidential contenders that would raise revenue by taxing wealth rather than income. Emmanuel Saez and Gabriel Zucman, two prominent economics professors at the University of California, Berkeley known for their research on inequality, evaluated the Massachusetts Democrat's proposal in a letter to her office, first published by the Washington Post. The plan, which would include an additional 1 percent surtax on billion-dollar-plus fortunes, would raise $2.75 trillion over 10 years, per their estimate, and affect 75,000 households in total. "A progressive wealth tax is the most direct policy tool to curb the growing concentration of wealth in the United States," Saez said in a statement to NBC News. "It can also raise sorely needed tax revenue to fund the public good. Senator Warren's progressive wealth tax on the top 0.1% wealthiest Americans is an important step in this direction." A spokeswoman for Warren, who is seeking the Democratic presidential nomination, did not immediately respond to a request for comment. The move comes amid a renewed discussion among Democrats over levying taxes on the ultra-rich. Freshman Rep. Alexandria Ocasio-Cortez, D-N.Y., kicked off an extended policy debate earlier this month when she floated a 70 percent tax on income over $10 million. Saez, who has published research defending similarly high overall tax rates, defended Ocasio-Cortez in a New York Times op-ed. The idea of a tax on wealth, where inequality is larger and more entrenched than on income, has drawn increase attention in progressive policy circles in recent years. French economist Thomas Piketty, who has worked with Saez and Zucman, drew worldwide attention with a book on inequality in which he proposed a global tax on multi-million dollar net worth of between 1 and 2 percent. The most recent Federal Reserve data found the wealth gap between households in the United States at its highest point on record, according to an analysis by Pew Research Center. Research by Saez and Zucman estimates that the wealthiest top 0.1 percent account for about 20 percent of all wealth in the United States in recent years, up from 7 percent in the 1970s. President Donald Trump even flirted with a more far-reaching version. In 1999, while weighing a run for president on the Reform Party ticket, he proposed a one-time $5.7 trillion "net worth tax" of 14.25 percent on households with over $10 million in assets. He's subsequently adopted more conventional Republican views, signing a $1.9 trillion tax cut that included significant benefits for top earners and heirs to multi-million dollar estates.